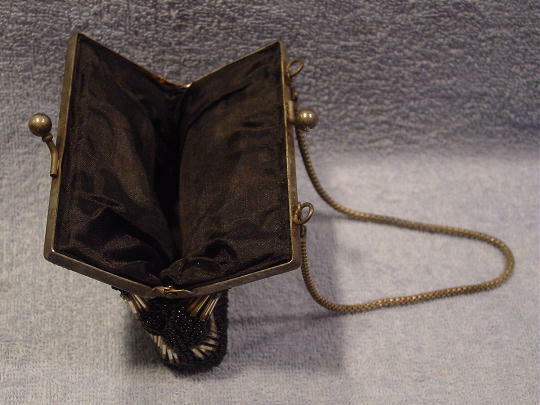 This little vintage evening purse has a tarnished silver-tone rim, bypass closure, and multi-link chain. It has a black, somewhat padded, synthetic lining. 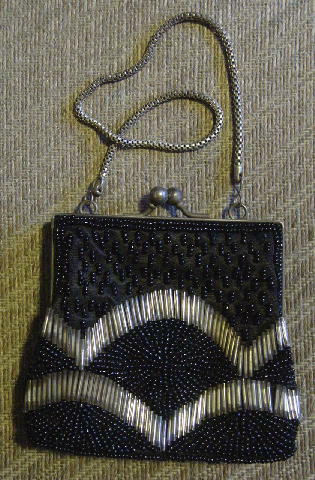 The exterior black fabric looks like silk and has little black round beads and muted silver-tone elongated beads with grayish tips on both ends. 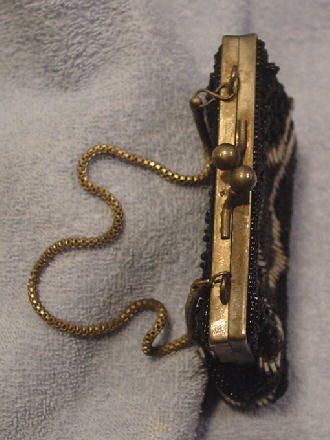 The elongated beads are shiny when the purse is held at certain angles. One side has a black bead missing. 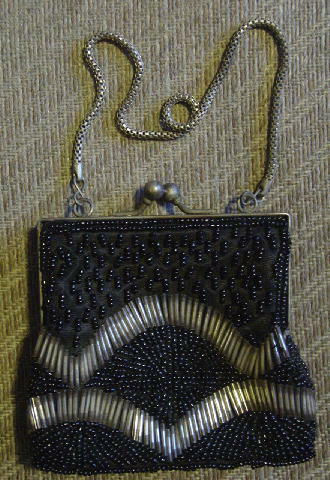 The bottom has rows of staggered beads. It's not big enough to hold a cell phone. It's from a stylist's inventory, and was used in two movies.